Benedict Cumberbatch and Ava DuVernay have yet another award to add to their growing list of achievements. The actor and director have beat out other prominent vegans to rank as one of PETA's "Most Beautiful Vegan Celebrities of 2018," E! News can exclusively reveal. Among the names vying for the coveted title were Zac Efron, Ellen Pompeo and Ne-Yo. Recently, the British actor has been vocal about his newly adopted vegan lifestyle, telling Time Out London that his "plant-based diet" helped him to stay in shape for his role as Doctor Strange in Avengers: Infinity War. And the A Wrinkle in Time director's choice to go vegan comes as no surprise to her Twitter followers who have seen her preach about the connections that social justice and veganism share. The award-winning director once tweeted, "Like many food trends that seem new, black veganism has historical roots. For a lot of black people, it's also about social justice and food access. The food we've been eating has been killing us.'" 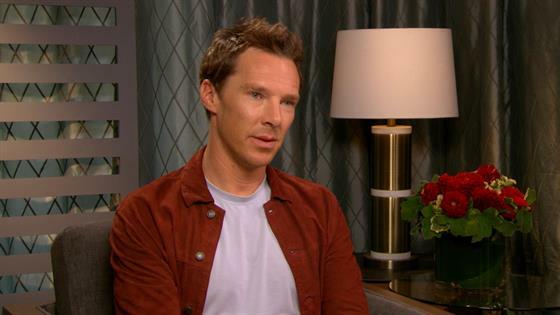 PETA Senior Vice President Lisa Lange said, "Ava DuVernay and Benedict Cumberbatch are saving animals not only by going vegan, but also by sharing their commitment with the world. The vegan powerhouses behind Selma and Doctor Strange beautifully show what it means to be a compassionate star in 2018." Past winners include Jenna Dewan, Ruby Rose, Jared Leto and many more. And as if those names weren't enough, just a few years ago Miley Cyrus earned the top spot as PETA's Sexiest Vegetarian. Congratulations to these two A-list vegans!